We LOVE our CRESBI Crates! 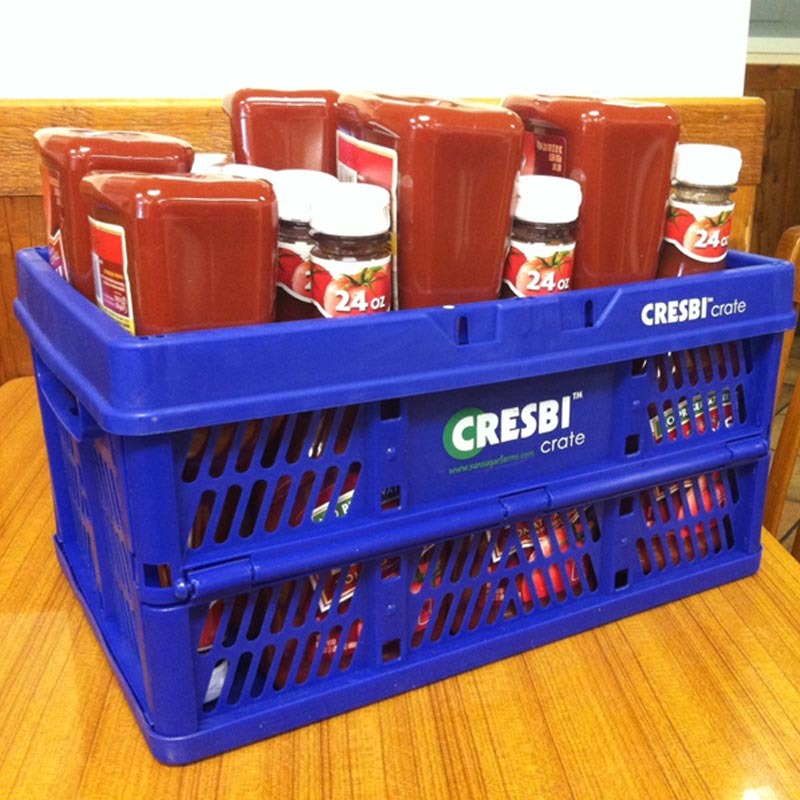 CRESBI crates are being used by consumers across the United States, Canada and even Australia to save time, products, and the environment when it comes to carrying groceries. Businesses like ESPN Sports Channel's Video Library at its headquarters in Connecticut, the Tennessee Valley Authority's biology department, and Meals on Wheels volunteers in Silicon Valley also are utilizing the packing power and convenience of the CRESBI crate! Here's what some of our happy shoppers are saying about their CRESBI crate systems, let us know what YOU like! My goodness! These are fantastic! They're so slick how they open and the reaction of the checkout people is that they love them, too! I also love having my own basket and not having to wipe down the store's basket for quick trips. You can tell right away that the quality and design is better than any other crate out there. I am one satisfied customer and tell all the others who are asking about these to definitely buy a CRESBI system! Went to Remke Sunday and wow – I was asked about these crates about 5 times. I love them. They are easier to carry than reusable bags and I feel like they are more sanitary. They are very easy to load and unload too. You may absolutely use my full name for this testimonial – when I find something this cool, I want people to know. I love my CRESBI system for Costco, Aldi's, Walmart, you name it! It's easy to clean, too, unlike reusable bags and the thermal insert is handy for keeping my cold food cold! We were initially intrigued with the idea of giving out something that had rigid sides vs a bag that flopped over. We also didn't want to hand out reusable bags since most recycling centers won't take them and they may end up being more of an environmental problem. When we gave out almost 1000 CRESBI crates with the Shoreline name on the strap our residents were impressed with the ingenuity and concept and many used them right away in the grocery store. The lime green CRESBI crate was the most popular since our sports teams use the same color (Seahawks and Sounders). Feedback from grocers and baggers is that they come across reusable bags that have not been washed or cleaned and they feel it is very unsanitary to have to handle these items. With the CRESBI crate, they are easy to wash, and stains and other liquids can’t be absorbed into the product. Also, Linda at Sun Sugar Farms was such a pleasure to work with from point A to point Z. She was available for questions and concerns every step of the way and we really appreciated the personalized service. We like that she had also looked into using recycled content but found that the virgin material would mean a much longer lasting product. I would highly recommend any city government implementing a bag ban consider the CRESBI product as a way to help their residents embrace the new law. I’m not going to lie. When I first received an email from Linda of CRESBI Crates I was not sure I needed ANOTHER thing to tote to the grocery store. I mean, I already have a ton of reusable grocery bags that seem to be doing just fine, so why did I need a reusable grocery crate? But boy, was I wrong! I love these things. Since receiving some of the reusable grocery crate samples from CRESBi, I have been testing them out at various places. I’ve used them at Costco, Sam’s Club, Kroger, ALDI and even to my sister-in-law’s to carry food we were bringing to share for the weekend. I love that they are sturdy enough to carry a lot of groceries, but fold flat for easy storage. They have built-in handles but the hook-on straps make them SO much easier to carry around. They are perfect for warehouse stores or ALDI stores where you don’t get bags anyway! After going to the grocery and stocking up on ice cream, I headed off to the pool. After 90 minutes basking in the sun, it occured to me I hadn't unloaded the groceries. Fortunately, the only damage to the Chocolate Chip Cookie Dough came later that night. Thank goodness for my insulated CRESBI crate! We love and use our CRESBI crates regularly! Our baggers keep threatening to steal them! Our family's lime green CRESBI crates with the TYE DYE straps continue to impress people and generate "wow" comments wherever we go. It's so much fun shopping with our CRESBI crates. 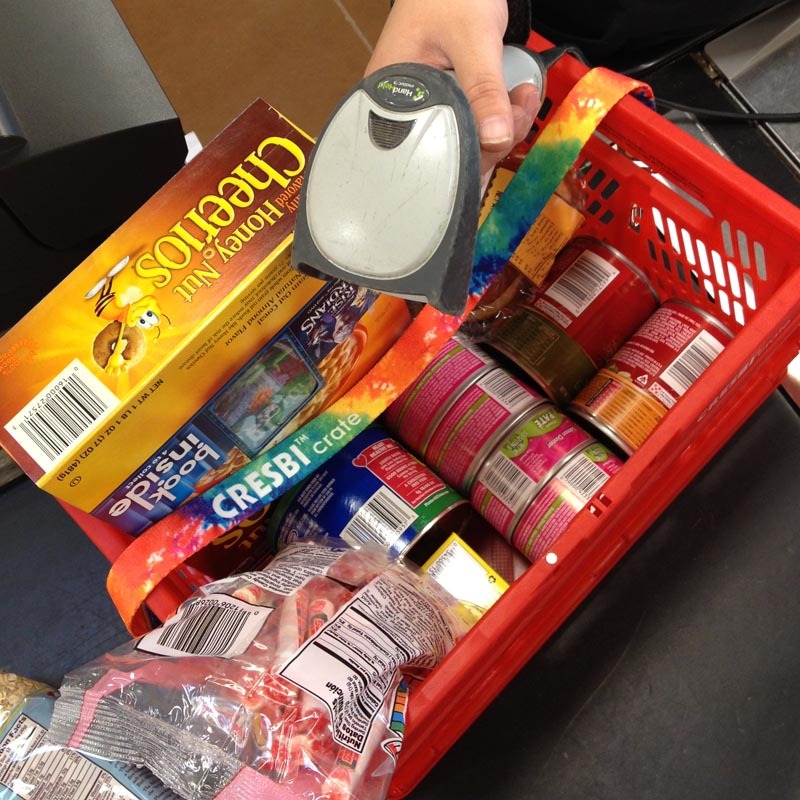 We like the convenience, simplified checkout, and plastic-less/paperless packaging. We think it would be awesome if 99% of shoppers used the CRESBI system. Aloha! 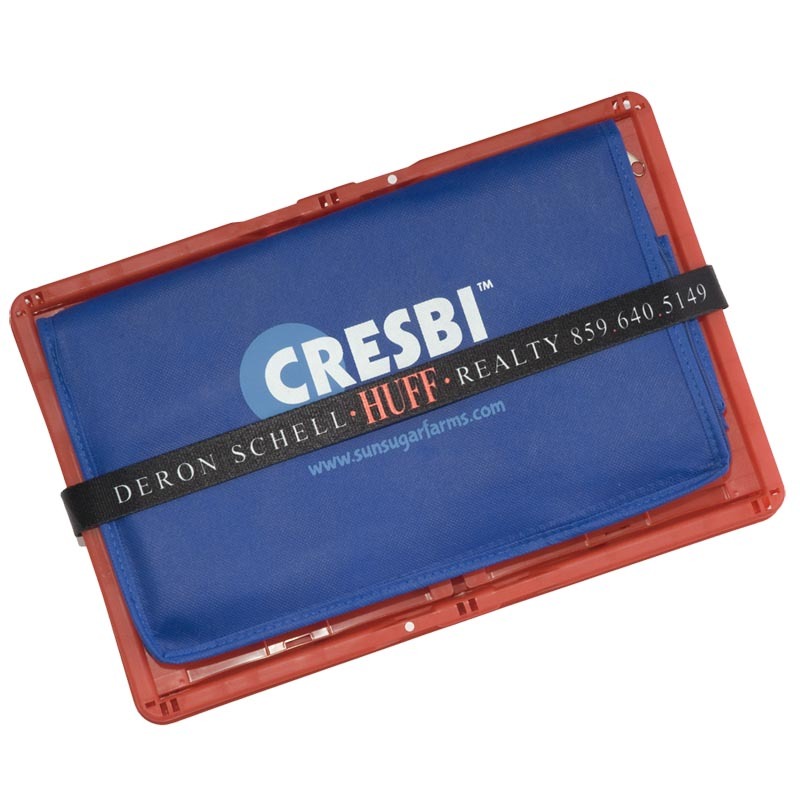 From a customer of Deron Schell, Realtor for Huff Realty: Ok Deron Schell I used my Cresbi Crate at the grocery last night for the 1st time. The 1st person that looked at me came over and when I explained what they were he liked them. No more plastic or cloth bags was great. Thanks for intro to me. We used my crates for the first time last week. AWESOME!!!!! No plastic bags. Groceries sorted when I got home. We are cooking a big dinner for Mother's day. I sorted my ingredients for my dishes in the crates. We are going to use the crates to transport my dinner. Totally AWESOME!!!!! PS. Seriously, check out at Wal Mart less than three minutes. . . . .$369.00 groceries and check out three minutes. . . Not a record for a egg muffin at the Golden Arch. . . but Wal Mart. . . .Wal Mart could give these away and make money in labor costs savings. . . .Thanks for making my life EASIER. . . . I sent out a bunch of info on Cresbi crates to the other vending machine owners I know and I really hope they look into it. Honestly, I have no idea how we would be doing all of this without our crates. I LOVE THEM! They have been the most helpful tool we've gotten for the business! Our paths crossed when my husband and I were coaching the chess club at our kid's elementary school. Linda put on these fabulous, well-attended chess tournaments at another school in northern Kentucky. She is one of the most amazing event organizers! We traveled to a lot of chess tournaments back in the day and hers were by far the most fun for kids, parents, and coaches. Now Linda markets this awesome product (CREBSI crates) that I use for groceries, organizing the back of my car, for road trips, picnics, camping...check them out. They hit the pitch for both the organizer and environmentalist in me! We've used CRESBI crates for food shopping, but they have been handy for transporting many other items including paperwork and dishes. We got great comments from the folks bagging our groceries. You can pack a lot of food in these crates! 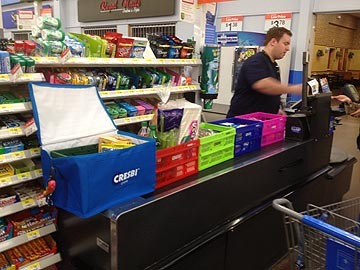 I bought CRESBI crates to haul groceries because I'm a "greenie" and Linda's explanation of the product fit right in with my beliefs and needs. I am not mechanically inclined, and if I can throw the CRESBI crate together and use it, then break it down, then ANY one can do it. It's a much more permanent solution to grocery bags (both conventional and soft cloth that are touted as environmentally friendly), AND it comes with an insert for refrigerated/frozen goods! The CRESBI crate is very reasonably priced and I believe it will last me for YEARS and YEARS to come...thanks Linda for your foresight! The CRESBIs are working extremely well for us. The production assistants seem to be using all of them and they are holding up with the tapes quite nicely. They’ve really helped open up some space at our desks and keep the clutter to a minimum. Thanks for your help! Took my Colossal CRESBI shopping today. They worked well. I hooked them on my cart even with my 2 yr old sitting in the front seat. He did rest his feet on them but that is ok. The cashier at Whole Foods went CRAZY over them and called everyone over to look at them. The bagger was afraid of overloading them. I kept telling him he could put more in. Why isn't everyone using these!? I used your CRESBI crates, bag and insert tonight during my shopping trip tonight and was totally impressed! They really did hold so much more than I thought they would. And being able use all 4 containers was great. It was fun, they stacked, held everything and I was really excited. 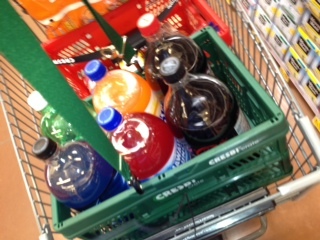 I asked the cashier and bagger what they thought, and they liked them as well. The bagger thought it was fun to find places for all the products. I love your products!! In fact, I put a link on my Facebook page to let all my friends know about CRESBI. Initially I was an apprehensive Cresbi Crate user since they were given as a gift, but 3 months later I am totally hooked! Don’t be fooled by the size – each crate holds more than you would think. Depending on the groceries, I can fit 3 – 4 bags of food in one crate. However the best part is that the groceries stay organized in the crates…no more reaching into the back of the trunk to retrieve apples, yogurts, etc. I have also found that bringing the crates into the house and unpacking the groceries takes less time than plastic bags. All the food is visible in the crates so you’re not fumbling through numerous bags to find that one little item you need for tonights dinner. Another plus – they are dishwasher safe! 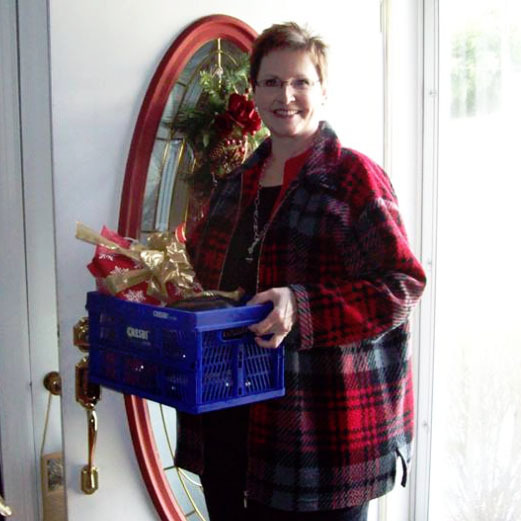 I mostly use my crates for groceries but the larger one I have used for potluck casseroles. I also use them anytime I need to transport multiple smaller items. People frequently stop me and ask about the crates. I highly recommend them! I've received my crates today and they are fantastic!! I'm hoping these will catch on when I start going to the store with them! I'm a contractor and I hate using the store's grubby basket when I need to grab a few things. The CRESBI crate is cool how it pops open and when I get the black strap it will match my son's school football team colors! We took the CRESBI crates camping with us on a rafting trip. With all the gear we had it was much more organized to have the crates keeping the food from rolling all around in the back of the SUV. Then when we were done they collapsed down to give us more room on the way back home. Very nice design and we are glad to have found them. Got ketchup? 15 bottles in one CRESBI crate! ​I love my crates! I enjoy them very much! Today, I used two crates to shop two diff stores and I loved them! I loved carrying them up to my second story apartment. I love that my bread did not get crushed in a plastic bag, jammed between two other bags, while the circulation in my fingers was cut off. I stacked my two crates neatly at my feet while I unlocked my door. I didn't have to search again for all the 'handles' of the plastic bags. Last week for a celebration, I needed to transport chicken parmesan straight out of the oven - hot and liquidy, the worst kind of food to take in a car. I put aluminum foil over the dish, and set it into the cresbi cooler, then zipped it up and placed it into the cresbi crate. My car stayed clean!!! The cooler got washed this morning and it is clean and drying out in my kitchen. Timely purchase!!! We ordered several of the CRESBI Colossal 6 Packs when they first came out. 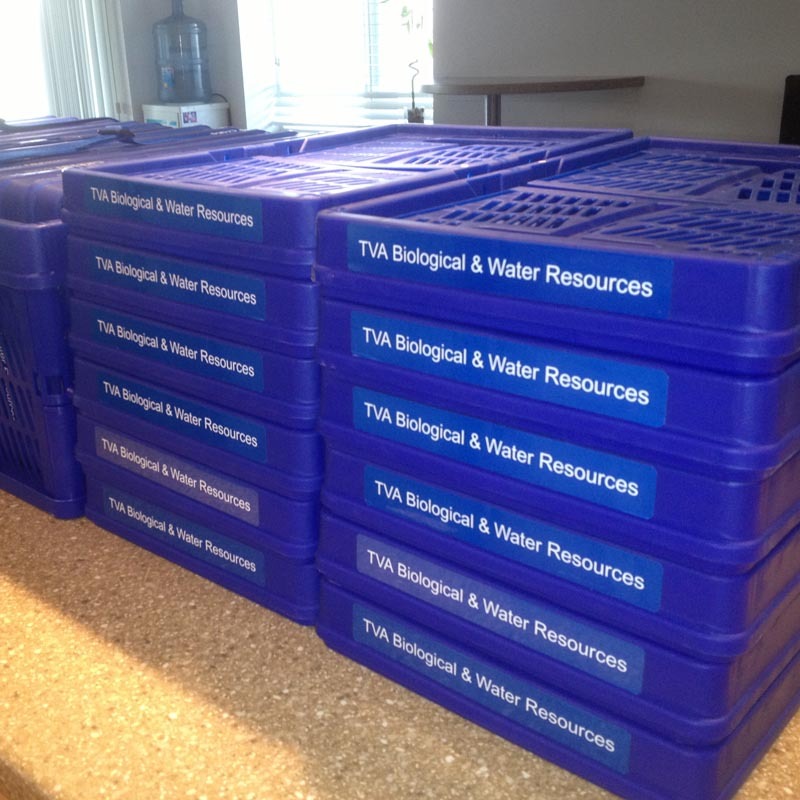 A year later we ordered more - they're great for keeping our glass jars of water samples in the cooler because they don't get soggy and the straps make it easy to carry the crates over your shoulder. Never took the items out of the crates because I put them in with the barcodes up. Checker just used the hand held scanner then we placed the crates back in the cart. Fantastic. It's wonderful how you can put so many different types of items into just two little crates. Bread and juice together, quietly coexisting without becoming one. Plus they stack perfectly and you don't have any round things going free-range on you. I also save 15-20 plastic bags every trip and when I put my items in them with the barcodes up my checkers can scan about $100 worth of items/minute. They love CRESBI crates, too! Getting through Walmart as quickly as possible is my ultimate goal when it comes to grocery shopping. The CRESBI crate system helps me do that! Want to really save time? Go to a store that has PERSONAL handheld scanners! Stack your stuff perfectly plus you're less likely to be audited because managers can more easily see what you're buying! In Cincinnati area Kroger has at least two stores like this, one in Dayton, Ohio and the other in Cold Spring, KY. I had been doing some research online about the plastic bag ban (which I'm for!) and I was researching alternatives to the standard reusable bags. Those things are awful! I was almost going to purchase plastic shopping baskets like the ones you find at stores to use while shopping. Well lucky for me I stumbled across your website for these CRESBI crates and your a genius!!! What you say and what you stand for I'm all for it. Watching a few of your videos on your crates I was so impressed. When I thought it couldn't get better you would show yet another great tip or another use for your products. I have been working in the grocery business for 13 years now so I know the impact of plastic bag usage and the quality of those cheap reusable bags.Again Thank you!